An effort by House Democrats to override U.S. President Donald Trump’s first veto has failed. That hands him a victory as his declaration of a national emergency at the Southwest border will remain in effect. The Democratic-controlled chamber voted 248-181 in favour of overriding Trump’s veto. That fell 38 votes short of the 286 needed for Democrats and their handful of Republican allies to prevail, because a two-thirds majority was needed. 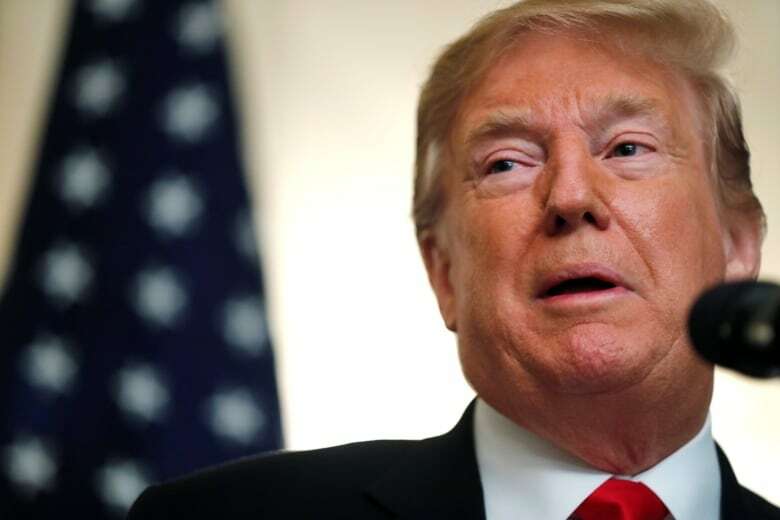 The emergency declaration lets Trump shift an additional $3.6 billion US from military construction projects to erecting barriers along the border with Mexico. Building the wall was one of Trump’s most repeated campaign pledges, though he said it would be paid for by Mexico, not taxpayers. Congress voted to provide less than $1.4 billion US for barrier construction. Court challenges may eventually block the extra money Trump wants. Earlier, the U.S. House of Representatives armed services committee denied the Pentagon’s plan to shift $1 billion US to build the wall. Acting Secretary of Defence Patrick Shanahan announced on Monday that the Department of Defence had shifted $1 billion US from other military construction projects to build part of the barrier along the southern border. Democratic Rep. Adam Smith, the committee’s chairman, said the panel did not approve the proposed use of Pentagon funds. “The committee denies this request. The committee does not approve the proposed use of Department of Defence funds to construct additional physical barriers and roads or install lighting in the vicinity of the United States border,” Smith said in a letter to the Department of Defence. Smith told the hearing that Trump’s proposed $750 billion US defence budget would not pass as it was proposed. That budget included $100 billion US in a “slush fund” meant to fund ongoing wars but which the Pentagon intends to use to boost the amount of money it has available to avoid budget caps passed by Congress, worrying lawmakers. Shanahan’s decision to shift military dollars in order to pay for the wall without consulting Congress could lead lawmakers to cut off the Pentagon’s authority to reprogram funds. “[Department of Defence] is attempting to circumvent Congress and the American people’s opposition to using taxpayer money for the construction of an unnecessary wall, and the military is paying the cost,” Smith said in a statement accompanying the letter.